Emir Shamsiddin Kulal, who lived for about 90 years, and died in 1370, played an important spiritual role in the formation and development of the future outstanding conqueror and ruler Amir Timur. He was a potter by profession, but a theologian, philosopher and thinker by vocation. According to historical notes, Shamsiddin Kulal led a modest way of life and helped many people with words and deeds. In the Timurid state, he was greatly respected. 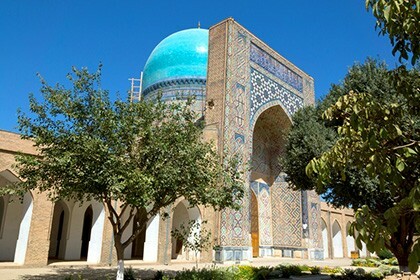 After the death of Sheikh Kulal, Amir Timur ordered his spiritual master to build a monument from marble and build a tomb for the relatives of the commander and his comrades-in-arms. The grave of the enlightened philosopher, as a sacred place, was immediately revered by his disciples and many other people. 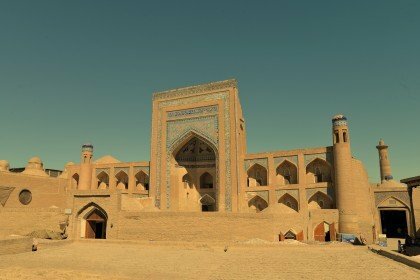 Later, Mirzo Ulugbek (grandson of Tamerlane), the outstanding ruler and public figure, erected the dome mausoleum of Shamsiddin Kulal on the site of the tombstone and the former structure. The interior of the mausoleum is amazingly decorated. Various geometric and vegetable paintings on glazed tiles and majolica were made. Wooden carved doors - like a gateway to heaven, were engraved by the most skilled craftsmen. 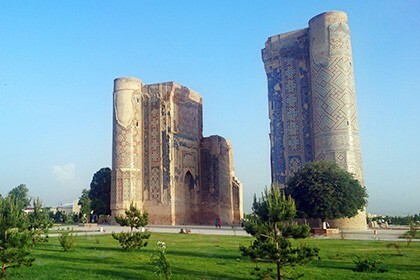 Today in modern Shakhrisabz (the city is more than 2700 years old) it is still possible to see all the beauty of the mausoleum, as well as the gravestones of Shamsiddin Kulal, the father of Amir Timur and other servants of the state and kinsmen of the Timurid clan. 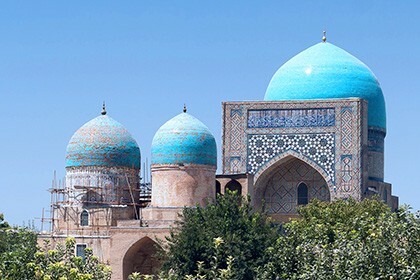 And climbing the spiral staircase to the roof of the turquoise Dome of the mausoleum, you can discover all the charms and beauties of the city and its environs.